Starbucks offering coffee grounds for your compost? We recently had a discussion in the Plangarden forum about throwing coffee grounds in the compost. 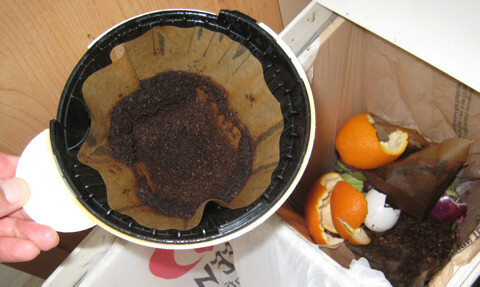 One of our users from CA gets 10 lbs/wk of coffee grounds from Starbucks for her compost. Starbucks pro and con issues aside, let’s just say that we’re happy to hear about this. We’ve used coffee grounds (and loose tea) for decades. Sometimes we dig holes in the ground and let them go to work in the soil. Most the time we add them to compost, either vegetable compost or worm bin (vermiculture). With that said, don’t get the idea you should start hauling tons of coffee grounds into your garden compost. Coffee is acidic and if you have acidic soil already or you added all the local Starbucks for years, you could end up with soil that would grow blueberries, potatoes, roses, and other acid-soil-loving plants, but not much else.